I found a nice hang-out place in Tomas Morato along Sct. Madrinan, which not only serve bottles of alcohol but also a good line of our favorite Filipino food. Seating at the facade of Il Terrazo building is Luna J Gastropub. It was a quick unplanned visit. I was too hungry while waiting for my friends in Il Terrazzo. I tried two popular Filipino dishes = Laing and Bistek. 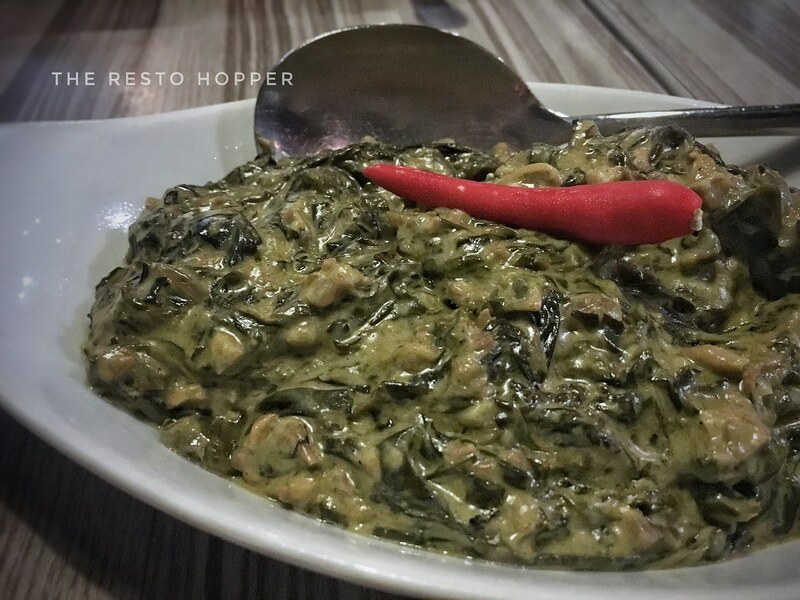 Laing (Php 185.00), for my non-Filipino readers, is basically a bunch of dried taro leaves cooked in coconut milk, usually spiced up with a lot of labuyo (Philippines’ hottest chili pepper). Luna J Gastropub’s version was a good one. It tasted great, too close to carinderia version, which I like because it reminds me of my childhood. I love the default spiciness, not too hot. The coconut milk was cooked well, the laing was not too oily because of it. 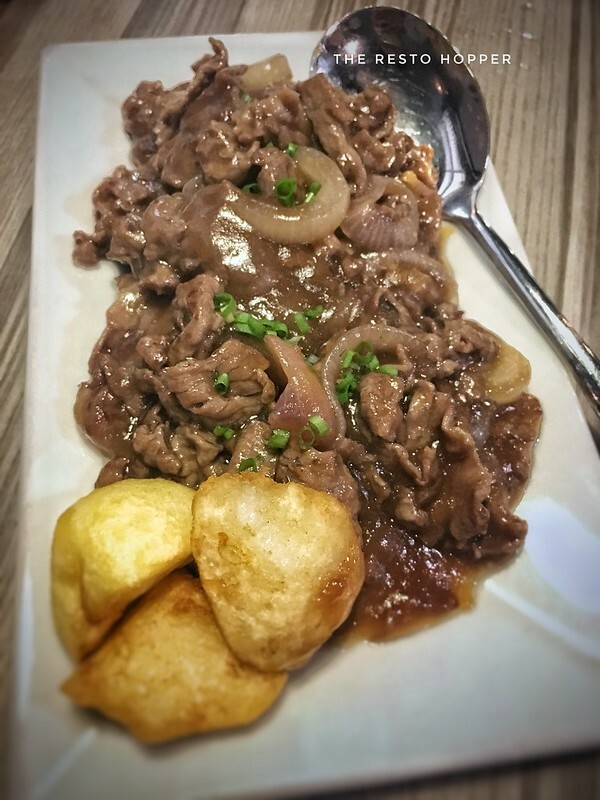 Bistek Tagalog (Php 250.00) is one of the pub’s best-sellers. Bistek is a portmanteau of beef and steak – that’s right, though Bistek is cooked differently from a steak, the person who named it somehow managed to relate it to steak. I loved the Luna J Gastropub’s version. The thick sauce tasted and felt like gravy, only a little more salty. Calamansi added up a nice tanginess to the plate. It was really good to pair with your cup of rice. And, by the way, the fried potatoes were good.